Fitness Question: neck Surgery, can I still exercise? I just had a procedure done ( a herniated disc between the sixth and seventh vertebrae.) The bulge has been removed at the back of the neck. I had nerve failure in my left arm because the nerve was blocked by the herniation. Now I have one problem: I walked an hour two or three times a week, but according to the GP that is not so good for my neck, because I have osteoarthritis between my sixth and sixth cervical vertebrae (strongly narrowed intervertebral space with slight disc herniation and the other neck vertebrae have a small disc protrusion). My question now is, whether it is wise to buy a cross trainer and keep my fitness level, or are other sports suitable? I mainly did fat burning and endurance. I am 50 years old and still want to be active. I think it is certainly a good idea to keep the condition maintained with a cross trainer. I would also put the advice of the GP to the test. The idea that osteoarthritis should be a reason to be careful is very old-fashioned. 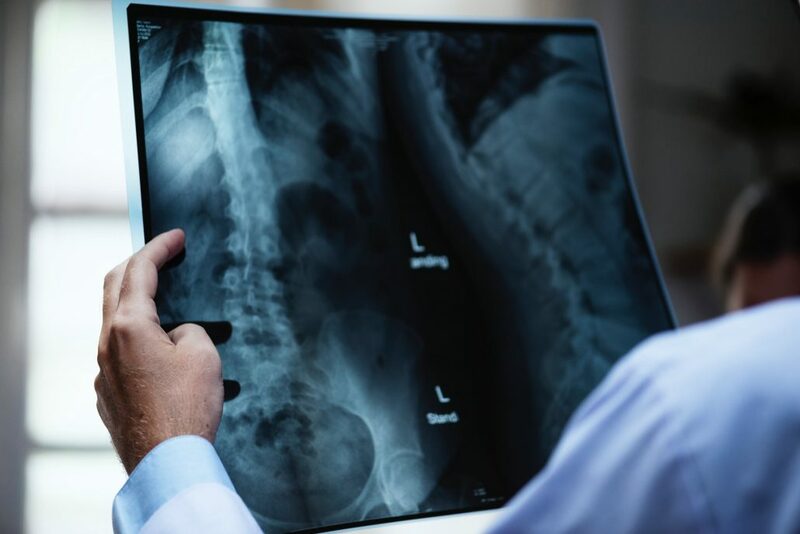 Recent scientific research has tested the causal relationship between abnormal findings and pain by allowing people without symptoms to take an MRI scan. These studies show that there is a huge percentage of deviations that in these cases are totally unpaired with pain or discomfort. For example, for a disc protrusion or a “bulging” as you describe, 87 percent. For degenerative changes of the discus, such as dehydration / narrowing, as many as 96 percent of the older population. This group, please note, does not experience any complaints. This should be a reassurance. The findings in your neck are normal, and not necessarily responsible for any complaints. Of course, from my position, I can not determine whether there is actually a connection! My advice would be to find a passionate sports physiotherapist who can help with this process. The neck must be tested calmly to see what is and is not possible! That way you will probably be surprised at what is possible. The idea to reduce a basic activity such as walking at such a young age (provided there is a good reason for this) does not seem sensible to me. http://markchenmovement.com/wp-content/uploads/2018/04/spine.jpeg 1500 2248 admin http://markchenmovement.com/wp-content/uploads/2016/11/Logo-2-300x123.png admin2019-01-25 02:48:172019-01-25 02:48:17Fitness Question: neck Surgery, can I still exercise? Did you know that it takes an average of 21 days to change a habit or to adapt to a new habit. Are you ready to change? Join the Movement and let me help you accomplish your goals with individual based training set out for you. Call me at +855 17 223105 to set an appointment and get started!